Happy Anniversary. I don’t really take note of my blog anniversary as if I can’t remember when my 1st blog was started. I think I will still be blogging 3 yrs time unless there is some major blog revolution. I’m not sure. I think blogging and social media will still be very popular, but I’m sure it will evolve in some way as technology evolves. Happy Blog versary to you! I’m not sure… I am further along blog wise after a year than I thought I would be. I hope that bloggers will be taken more seriously and that I continue to enjoy it!! 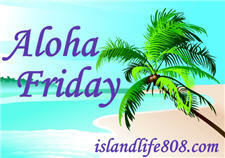 MSRheinlander recently posted..Aloha Friday… Smoke & Ash! I think there will be a lot more Vlogging going on.